According to the American Occupational Therapy Association, more than 79 million students in the United States carry a backpack and an estimated 55 percent of them are carrying a backpack that is too heavy. That’s more than 43 million students who may be doing damage to their bodies with heavy books, electronic devices, and other school supplies. 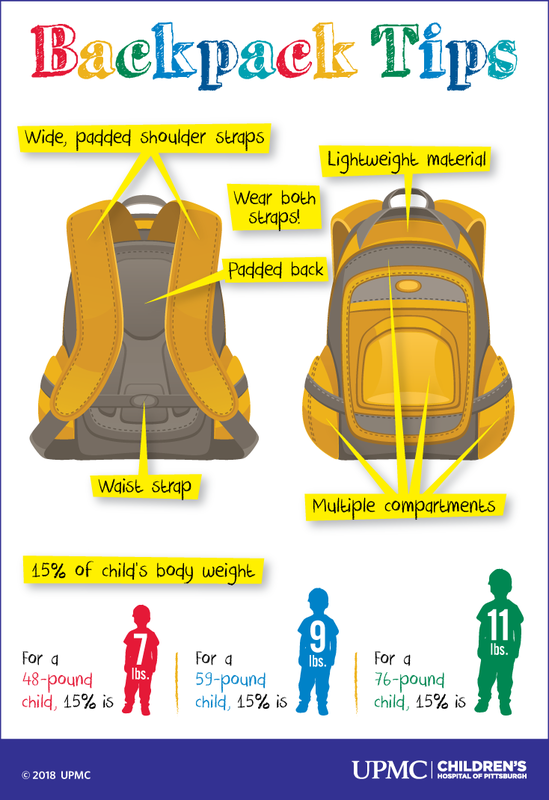 For more information, please visit the kids’ page for backpack safety. Make sure your child has a happy, healthy school year ahead. Visit the Children’s Hospital of Pittsburgh of UPMC website. Oh Baby, Are You Ready for Solid Food?